The Brufut Education Project believes in changing the world, one individual at a time. True empowerment involves giving a person the tools and skills to help themselves, to decipher and decode the world around them, think critically, and make their own plans about how best to forge their path through life. Learning to read is a skill that transforms lives and opens doors in every direction. In The Gambia, literacy rates for men are 60.9%, while for women it is 41.9%. This statistic reveals and insinuates much about gender roles and relations in this part if the world. Tradition values place women at home with children while men go out to work. Boys are favored to go to school and are seen as more promising investments for the future. 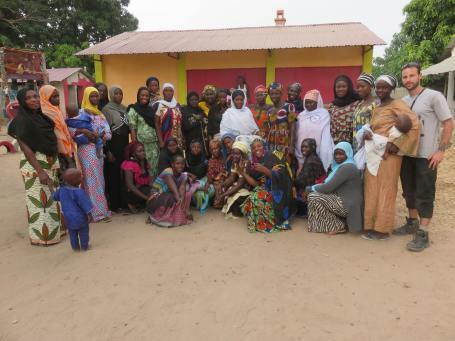 However, in addition to cooking, cleaning, sewing, and caring for children, Gambian women are also expected to tend to gardens and crops (vegetables, rice, maize, millet), sell wares at the market, trade in fish from the beach, work as teachers, clerks and in other office jobs, or earn money in other ways in the informal economy. Women are the backbone of Gambian society. The Gambian gender context is also overshadowed by another statistic, that relating to female genital mutilation. The WHO have documented that 76% of Gambian women have undergone FGM. This statistic requires further insight in order to gauge an accurate picture for the women of Brufut. FGM practices follow along ethnic lines, thus in The Gambia, the Mandynka, Fula, and Jolla people all practice FGM, while the Wolof (the dominant ethnic group in Senegal) do not. Brufut is a primarily Mandynka settlement, with Fula and Jolla living there as well. Therefore the statistic for FGM among Brufut women could very well be around 95%. There is a rule that any woman who misses two classes in a row is asked to leave so that someone else can take her place; such is the demand for this activity. We are the first school to offer regular adult literacy classes in Brufut. 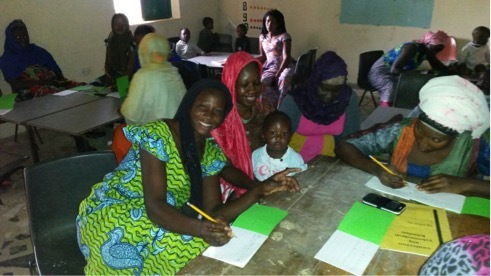 Our teacher, Mariama Jaiteh, a local Brufut mother, is a government trained adult literacy facilitator currently teaching these classes for free as a volunteer. Attached to this is a budget proposal for books, materials, and training to support our adult literacy program. The total cost for this stage is 42000 Dalasis or £678. Our aim is to move from basic literacy towards materials relating to health, economics, nutrition and other topics relevant to the women of Brufut. We need your help to make this happen. Ideally we would like to hire Mariama as a full time position and expand our program so that more women could participate. Please share this proposal to interested people and write to us for more information about on our literacy programme and our other work.